K.I.S.S. Crop-n-Shop Scrapbook Events: What are you doing on February 28th? What are you doing on February 28th? 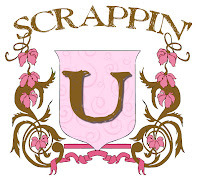 We will be scrapping...what will you be doing? WOO HOO!!!! I can't wait! I've been putting together pages kits so that I can get lots done!!! HA! yeah right! Always fun anyway!